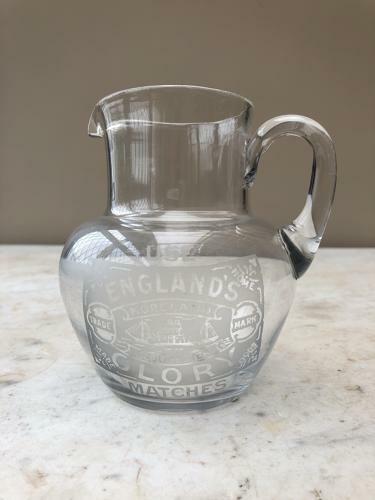 Super condition absolutely mint...Early 20th Century Glass Advertising Water Jug. To one side etched "USE ENGLANDS GLORY MATCHES. Moreland. Gloucester. Trade Mark"